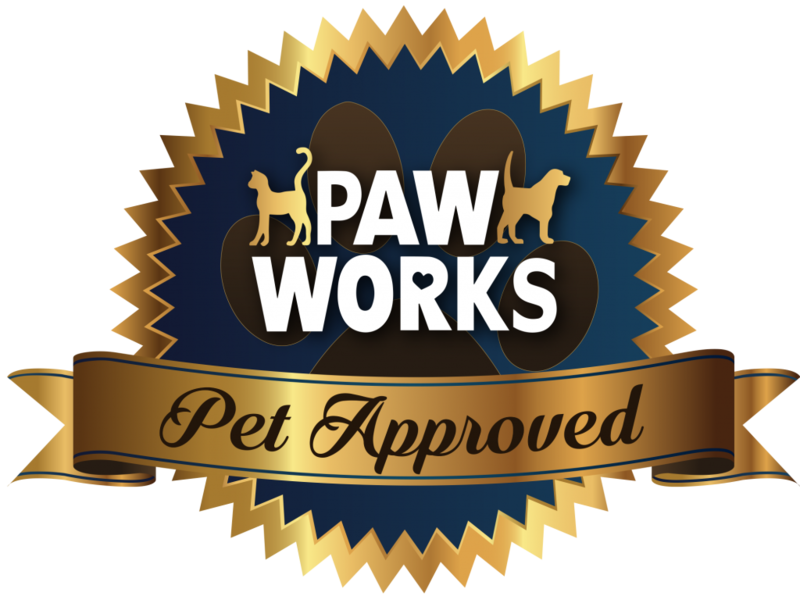 In keeping with Paw Works mission, To Lead, Protect, Heal, Comfort and Shelter Those Who Cannot Speak for Themselves, we have begun a new Paw Works Pet Approved Business program. This program is designed to acknowledge those organizations that have made a concerted effort to accommodate pets at their businesses. Whether that means providing outdoor access or play areas, or safe, well-maintained pet relief areas, Paw Works wants to support these businesses with much-deserved public recognition and celebrate their concern about animal welfare. Indoor or outdoor play areas must be located in a separate room or be gated or fenced. These areas must be clean and environmentally comfortable, have fresh water and clean beds or blankets, be free from potential dangers to animals and have healthy treats and toys. Pet relief areas must be in safe locations and be well maintained with proper signage, including “keep pets on leash” signs, waste bag dispensers, fresh water and live grass. We are honored to name Auto Fuels, Inc., an independent retailer of quality fuels located in Oxnard, California, as the very first recipient of our Paw Works Pet Approved designation. Auto Fuels has gone to significant effort and expense to create a wonderful area alongside their gas station where humans and pets alike can stretch their legs, get some air and relieve themselves (the latter exclusively for pets). For their humans, Auto Fuels offers a full-service convenience store with clean restrooms, not to mention discounted gasoline prices, a car wash, and the best part, great customer service and no waiting in long lines. Congratulations to Auto Fuels for understanding the importance of providing roadside service for people and their pets, and leading by example with their new pet rest stop!